When people ask me about my choice for governor, my answer is Brian Kemp. I’ve never met a perfect politician, but I can tell you why I’m voting for my down-the-road neighbor. One reason is highlighted by a mutual friend, David, who was invited to a rally at Brian’s home. Earlier in the day, Brian had mowed. When David arrived, Brian was setting up tables and chairs. “Brian Kemp is a roll-up-his-sleeves-and-go-to-work fellow,” David said. “I know he will work for me, too.” Those two sentences say plenty. Brian is a worker. As a young man, he put calluses on his hands digging ditches and swinging a hammer. As a diversified businessman, he’s been a jobs creator. I have special admiration for those candidates who have met a payroll. Brian’s entrepreneurial experiences—through good times and not-so-good times—give him a special edge in 2018’s gubernatorial race. His family is an asset, too. My relationship with his extended family goes back to before Brian and Marty were married. Decades ago, I met her parents, Bob and Jean Argo. Bob died in 2016, but he and his wife were quintessential good citizens and civic leaders in Athens. I believe that behind every good man is usually a great woman. Brian and his late father-in-law are classic examples of that belief. While I make my living—primarily—from what you are now reading, I also consider myself a farmer. I like livestock, tractors and digging in the dirt. Our secretary of state, who aims to be our governor, shares those affinities. Brian’s an outdoorsman, too. Most mornings, on the way to work, I drive by the turn-off to his farm. I’ve witnessed him in action in our favorite country-store biscuit place. Brian Kemp is comfortable with Georgians of every walk. He understands people, and they feel comfortable reaching out to him. I like his “Putting Georgia First” campaign platform. Georgia can be proud of being repeatedly judged the nation’s best state in which to do business. Atlanta is our state’s economic engine, but what about the communities more than 100 miles away from Hartsfield-Jackson International Airport? Brian is proud of Georgia’s ranking, but he also understands that much of rural Georgia is hurting. I trust his leadership to make a difference, especially with small businesses. As a grandfather of eight, I worry about gang violence in Georgia. I am confident Brian has the backbone to stand up for the safety of our law-abiding citizens. I applaud his vision on education, health care and improving life for Georgia’s 10 million. Brian Kemp is not perfect, but neither are you or I.
I am more of an independent voter than anything else, but I admire Brian’s common-sense approach to issues that matter. His core values are strong. 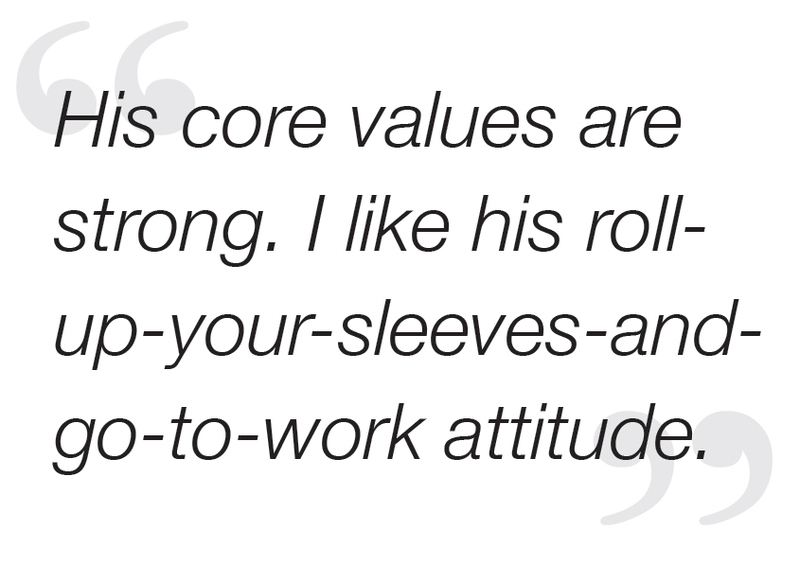 I like his roll-up-your-sleeves-and-go-to-work attitude. That’s why I’m voting for my friend, Brian Kemp.